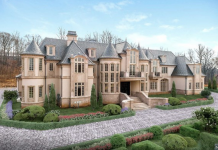 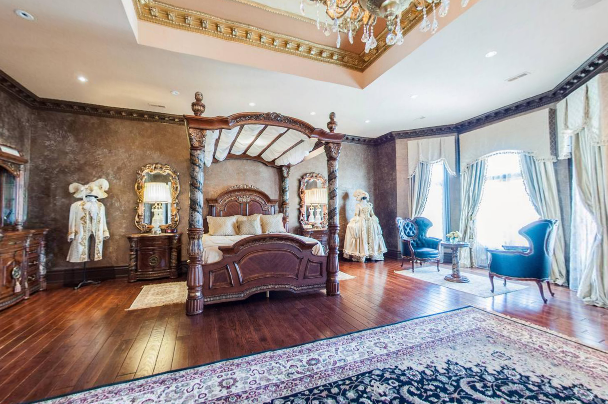 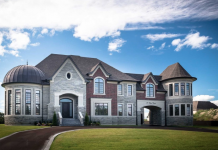 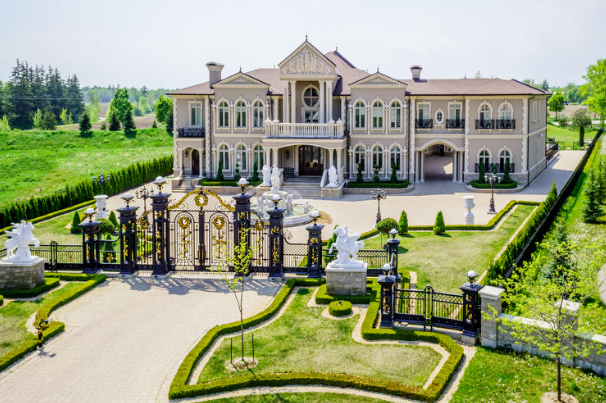 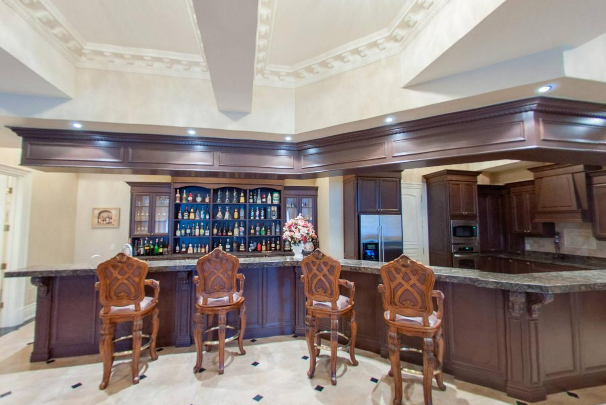 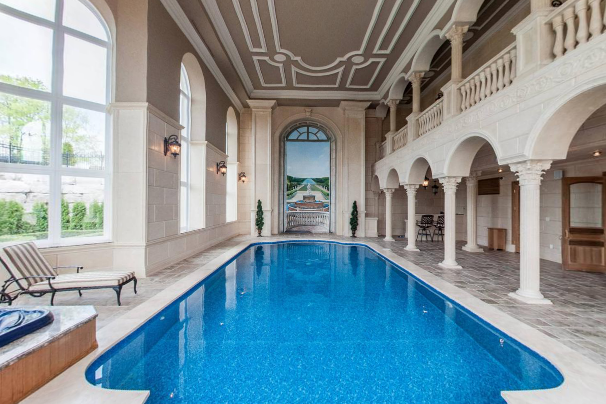 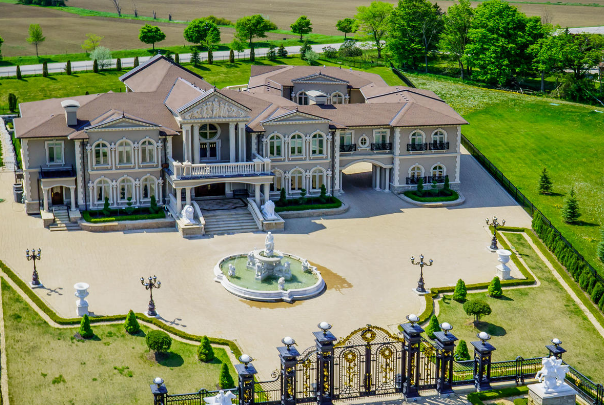 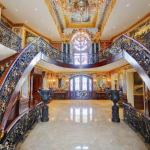 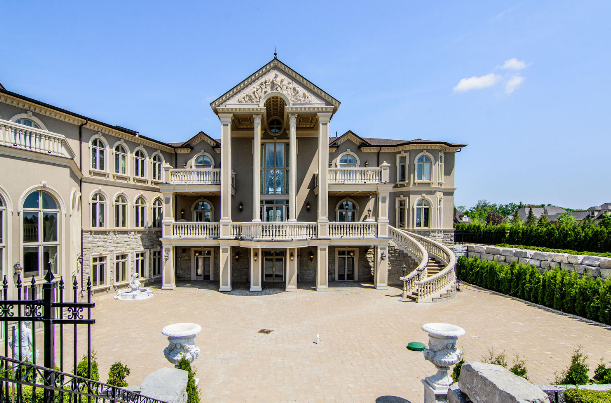 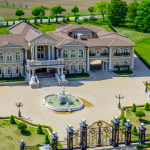 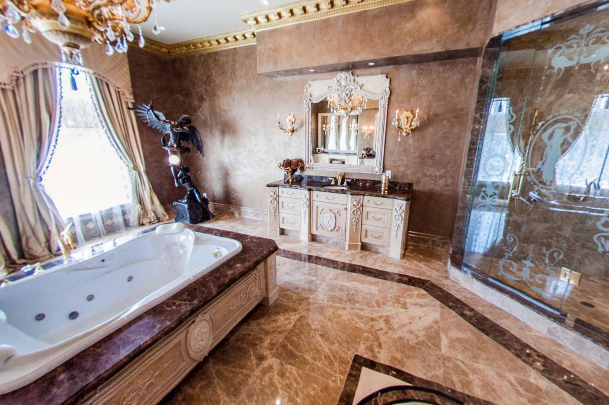 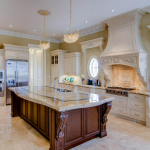 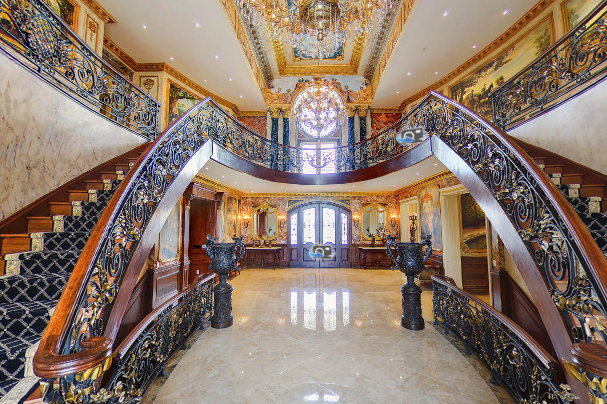 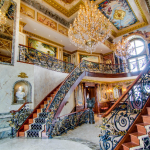 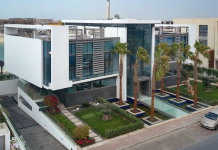 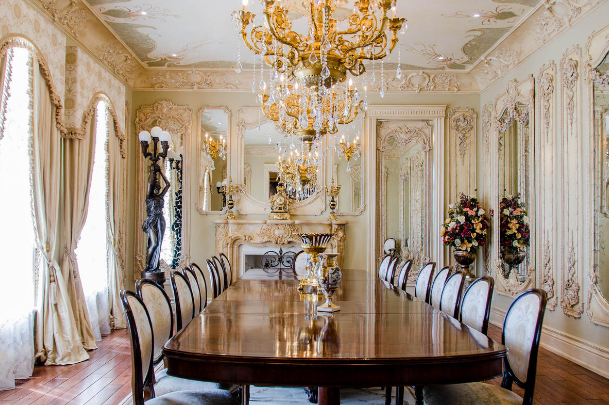 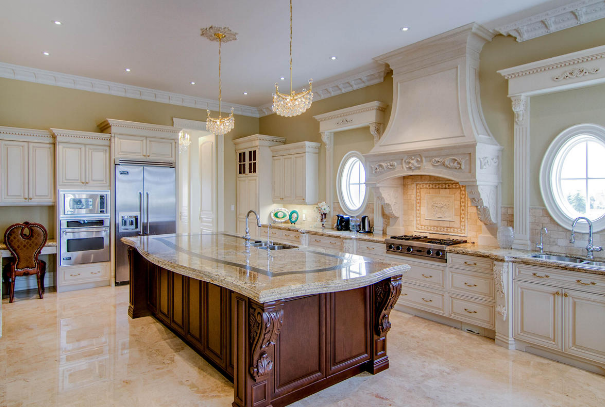 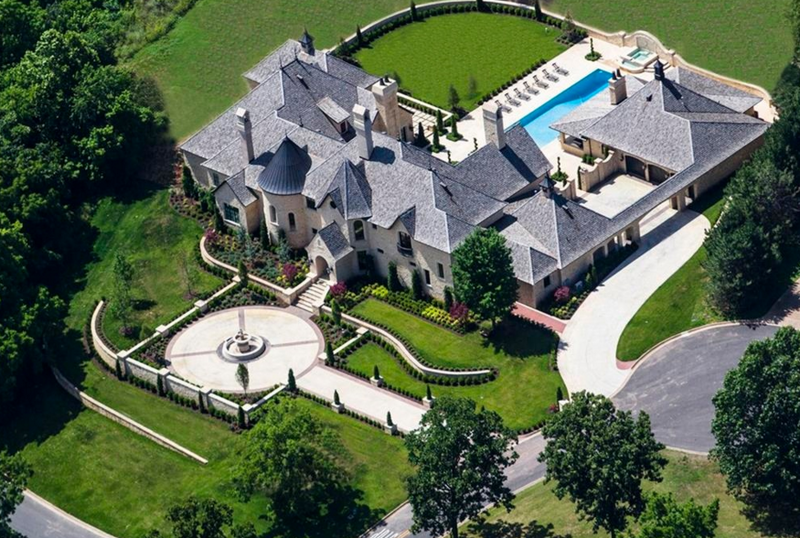 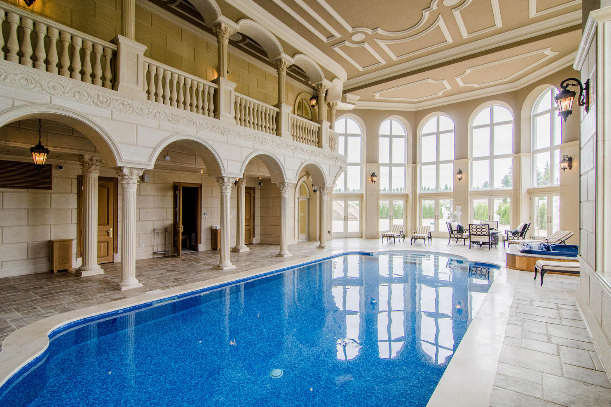 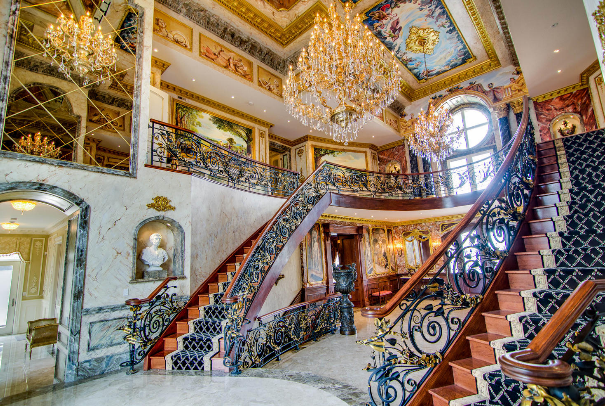 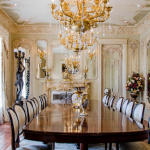 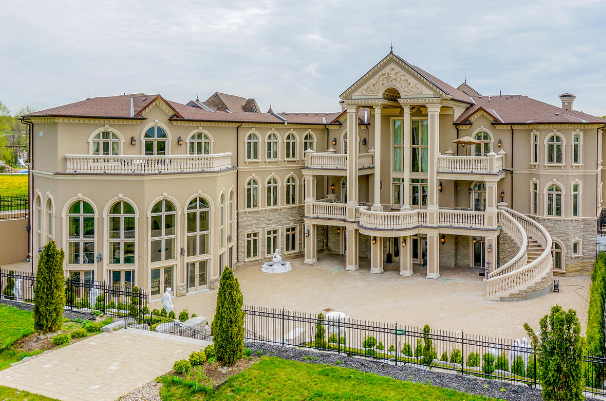 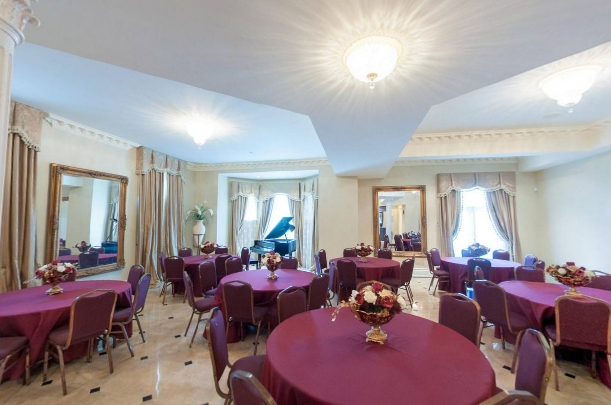 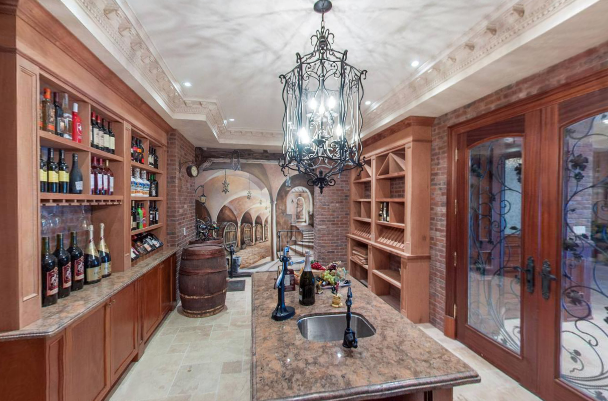 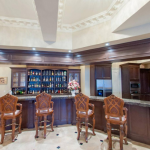 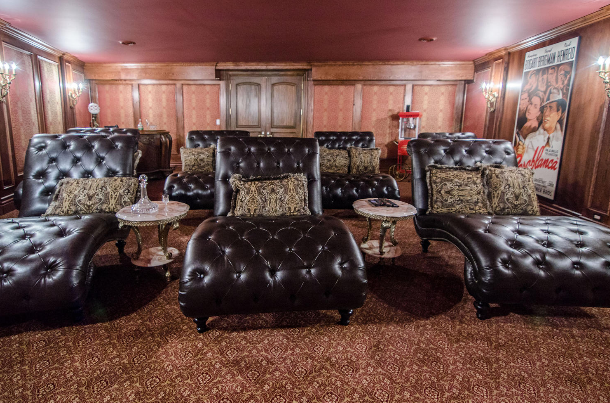 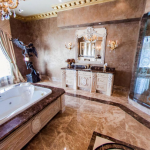 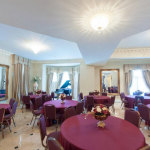 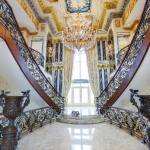 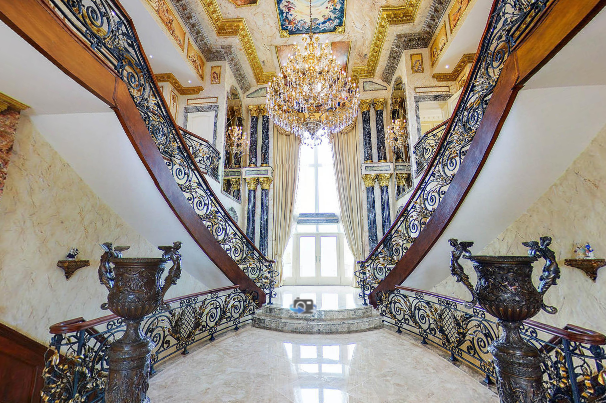 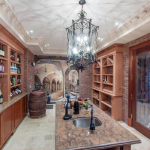 This stately & ornate mega mansion is located at 90 Rocmary Place in Vaughan, Ontario, Canada. 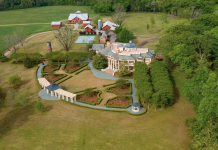 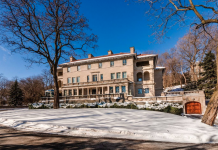 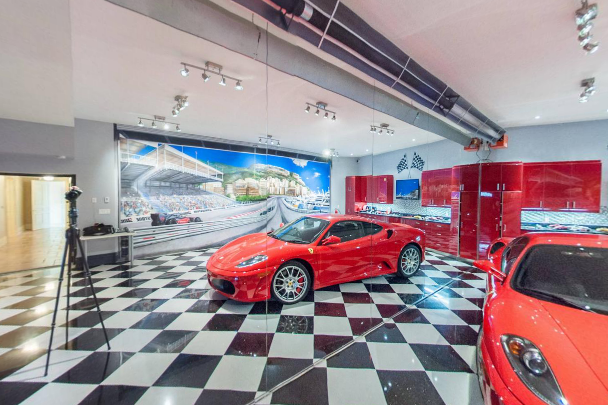 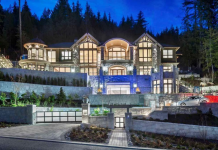 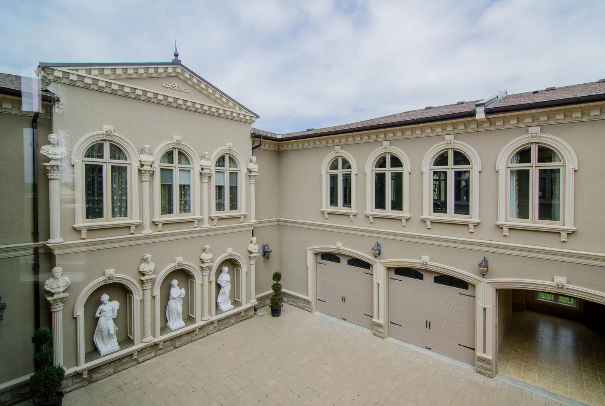 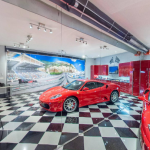 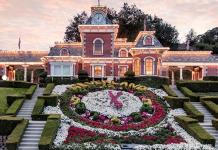 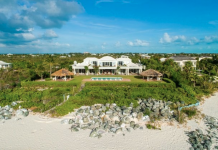 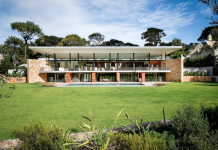 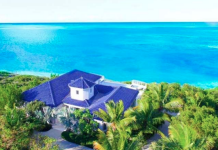 Situated behind elaborate wrought iron and gold plated gates, the home features a large motor court with fountain and a porte-cochere leading to the garages. 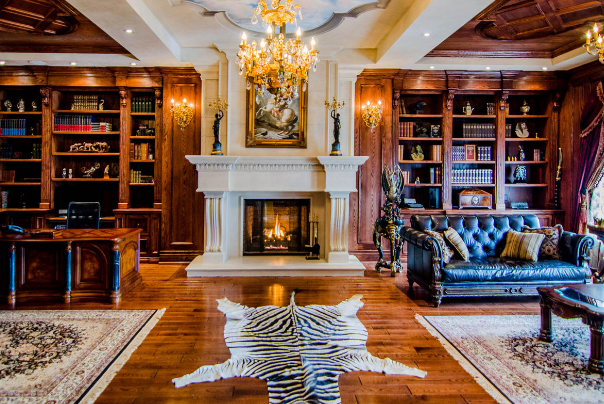 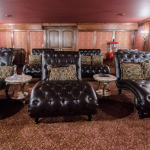 Inside features approximately 24,000 square feet (including a 9300 square foot lower level) of living space with 6 bedrooms, 12 bathrooms, 2-story foyer with grand double staircase, formal dining room with fireplace, paneled home office with fireplace, gourmet kitchen, family room, billiards room, ball room/party room with large custom wet bar and 2nd kitchen, “Ferrari” room, gym, home theater, wine cellar with tasting room, large indoor swimming pool with spa, his-and-hers changing rooms and much more.